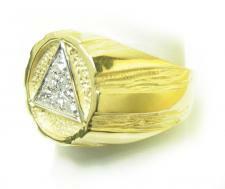 This is our exquisite, beautiful, and unique 12 step collection of 14k Gold and Sterling Silver jewelry Rings. 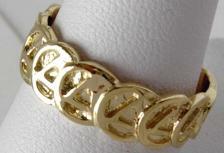 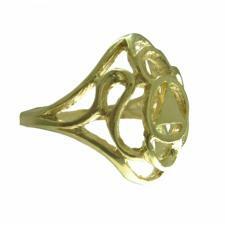 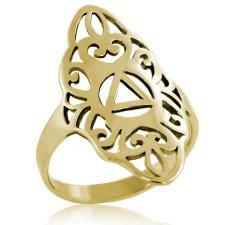 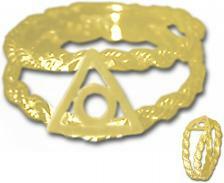 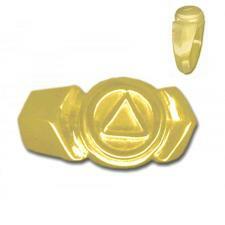 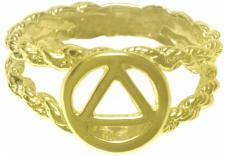 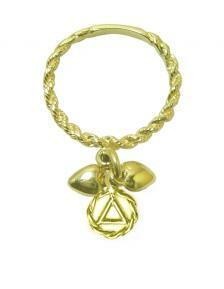 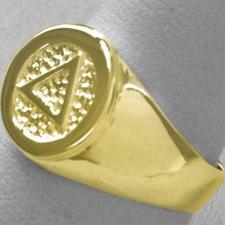 We also offer a few selections of sobriety rings in 10k Gold. 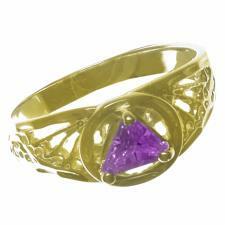 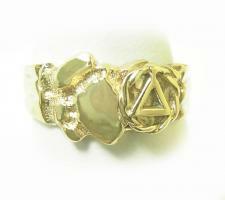 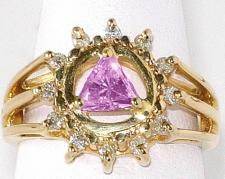 Also choose from our selection of rings with gem stones, Diamonds, Black Diamonds, or cubic zirconia. 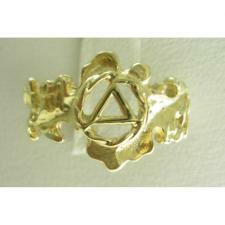 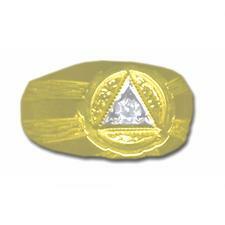 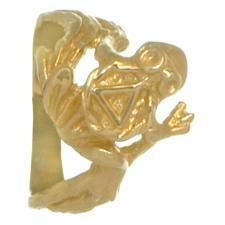 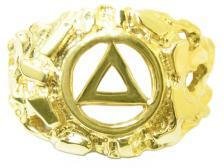 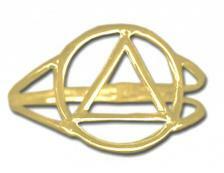 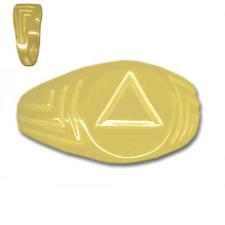 Alcoholics anonymous rings are all made by our jewelers and custom sized. 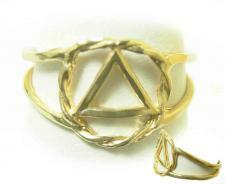 With the time and care that go into these beautiful recovery rings, we ask you keep in mind the ordering requirements listed for each piece. 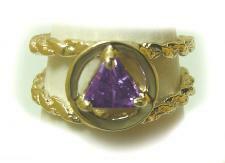 A recovery ring makes for a wonderful gift for you or someone special.